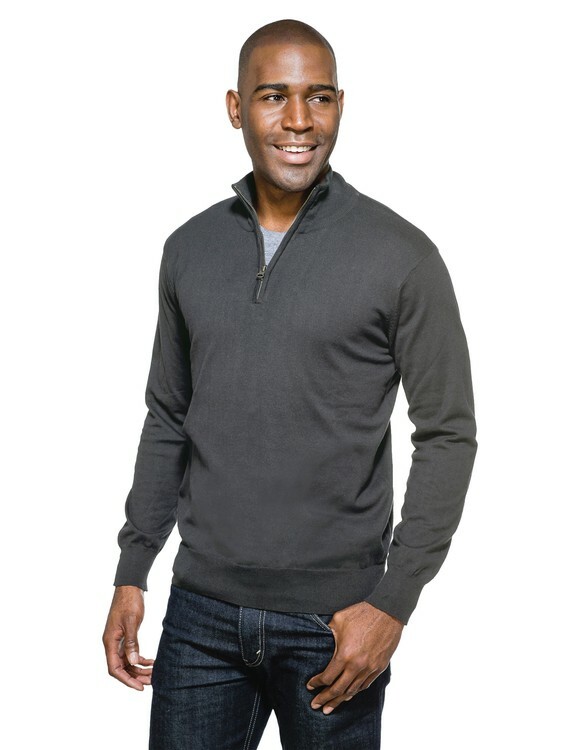 Men’s 82% cotton/18% nylon fine gauge ¼-zip sweater. Features a metal zipper placket with rib knit collar, cuffs and bottom. Fully-fashioned sleeves for strength, comfort and longer wear. Contrast yarn dyed stripe along inner neckline.